It's a hard fact: many businesses across Cape Cod fall victim to burglaries, employee theft and environmental damage each day. The great news is that by working with our team, businesses minimize such risks! NEMECS is the specialist in commercial security systems, and if your business is located in the Cape Cod area, we have a commercial security solution for you. We've been leaders in business security since 1990, and with over 20,000 system installs, who better to trust your protection to? The commercial security solutions available to businesses include Intrusion Alarm Monitoring, Automatic Fire Alarms, Carbon Monoxide Monitoring, CCTV Cameras/Video Surveillance, Critical Equipment Monitoring, Access Control and ULC Fire/Burglary Certification. Take control of your commercial security needs and explore the security solutions available to Cape Cod businesses here at NEMECS - where the safety and security of your business is our priority. More and more businesses are minimizing the incidences of employee theft and shoplifting by enlisting the protective expertise of NEMECS! Thanks to NEMECS - commercial security system specialists - you can start protecting your business thanks to our Intrusion Alarm Monitoring Service. This service operates quite easily. When you enlist the Intrusion Alarm Monitoring Service for your Cape Cod business, our qualified technicians will install the latest, state-of-the-art electronic sensor devices at your place of business. Choose from wireless or installed wired devices to best suit your needs. notify police, ambulance or the fire brigade who will attend your commercial premises. you will minimize the risk of burglary after hours. Take action now to protect your Cape Cod business by enlisting our Intrusion Alarm Monitoring Service! Talk to our friendly commercial security solutions experts and do what you need to do to protect your business today! More and more Cape Cod businesses are being protected from fire, and it's all because of NEMECS! It takes a great deal of time and hard work to establish and build a business, and that's why an increasing number of businesses are enlisting our fire protection expertise to keep them safe. 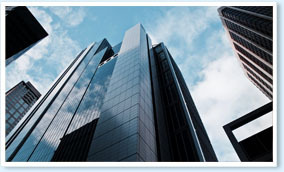 You too can benefit from the protection we offer through our state-of-the-art fire protection solutions for business. notify police, ambulance or the fire brigade who will attend the business. Business in Cape Cod? Dramatically minimize fire risks today by installing Automatic Fire Alarms! You know your business deserves the very best fire protection, and that's why you need automatic fire alarms from NEMECS. Call our team of commercial security specialists today and protect your business from fire! Although Carbon Monoxide is one of the United States's top causes of accidental death, it's not even affecting the businesses being protected by NEMECS! It's true that furnaces fueled by propane or kerosene, gasoline, oil or natural gas can create the deadly carbon monoxide gas which cannot be detected by smell. The great news is that vigilance is the best protection for your staff and yourself. What better way to protect your staff and yourself than by enlisting NEMECS's Commercial Carbon Monoxide Monitoring Service. Here at NEMECS, we have been keeping people safe from carbon monoxide for over 16 years and we are dedicated to the safety of businesses all over Cape Cod. We have the solution to keep your team safe from carbon monoxide poisoning and that solution is the Commercial Carbon Monoxide Monitoring Service. Our specialist team will install a number of electronic sensors at your place of business which will detect harmful carbon monoxide in the air in an instant. Once high levels of carbon monoxide are detected, our Security Monitoring Center will be notified and you will be contacted. Our team will also dispatch emergency authorities to your business premises in the Cape Cod region. By enlisting our Commercial Carbon Monoxide Monitoring Service, you may save the lives of your team - even yourself. With carbon monoxide killing too many people each year, now is the time to take action to protect your staff. Imagine having the total peace of mind that comes just by knowing that the equipment your business relies upon is being carefully monitored 24/7! You don't need to imagine anymore thanks to NEMECS - the commercial security specialist in Cape Cod and over 20,000 successful systems installations and thousands of happy business customers, who better to trust with your security requirements? At NEMECS, we provide businesses with a Critical Equipment Monitoring Service that allows you to keep on keeping on! When you enlist the Critical Equipment Monitoring Service from NEMECS, one of our specialist technicians will install a number of high-tech sensor devices that will detect any temperature changes and changes/abnormalities in your normal critical processes which may be indicative of a problem. The device will then alert our Security Monitoring Center which will then notify you and assess the situation. The appropriate action will then be taken to minimize the risk and stop this problem becoming a bigger one which could hurt your business. the assurance that if the slightest problem is detected, immediate action will be taken to stop the problem from escalating into one that could disrupt business operations. Have a business in Cape Cod? Act now to prevent equipment failure and enlist our Critical Equipment Monitoring Service! Minimize your equipment risks today! Call our commercial security specialists now and arrange for our specialists to visit your site for a detailed analysis and quote. Too many Cape Cod businesses have fallen victim to unauthorized entrants. The great news is that more and more of them are being protected from theft, robbery and assault thanks to NEMECS! NEMECS - the commercial security solutions specialists in Cape Cod - have been protecting businesses since 1990 and they can protect you from unauthorized access. The commercial security solution is Access Control and it could save you a fortune - maybe even a life! You've seen security cards that people wear on their person and scan to gain entry into a building? Access Control uses this electronic card technology, and when you enlist this service to protect your Cape Cod business from unauthorized access, you will give each of your staff and other select people the authorization to be in your building. The cards work with a comprehensive, yet easy to use Access Control System, which will allow you to view a site map of your premises - in real time - and spot the authorized personnel. The convenience of the Access Control System allows you to grant or delete access authorization any time you wish. will be assured that by implementing an access control system you are dramatically minimizing the risk associated with unauthorized access. Put simply you are protecting your staff, your property, your confidential commercial files and yourself. Doing business in Cape Cod? Protect your property and your staff by enlisting the Access Control Service for your business! The lives of your team, your equipment and your confidential files are what keep your business going every day. Our business clients understand this, and that's why theyâre enlisting our protective expertise! Call NEMECS and talk to our commercial security specialists today about how you can protect your business from unauthorized access thanks to the Access Control Service!